Today someone asked us “How do you plan for a trip around the world?” Amy’s response, “Google it.” It’s hard to describe step-by-step what you have to do to plan a trip like this. We’ve been planning for some time, Googling and such, but are just now beginning to physically take action, to do things. Last Friday we started on our first round of immunizations. 3 injections each. Today we went back for batch #2. Before all is said and done, we will each be vaccinated for yellow fever, rabies, meningitis, the flu, typhoid fever, Tdap and Japanese encephalitis. Also there are the dreaded malaria pills. Creepy! Last night we cracked out our packing list and put it to the test. Not a bad first try. 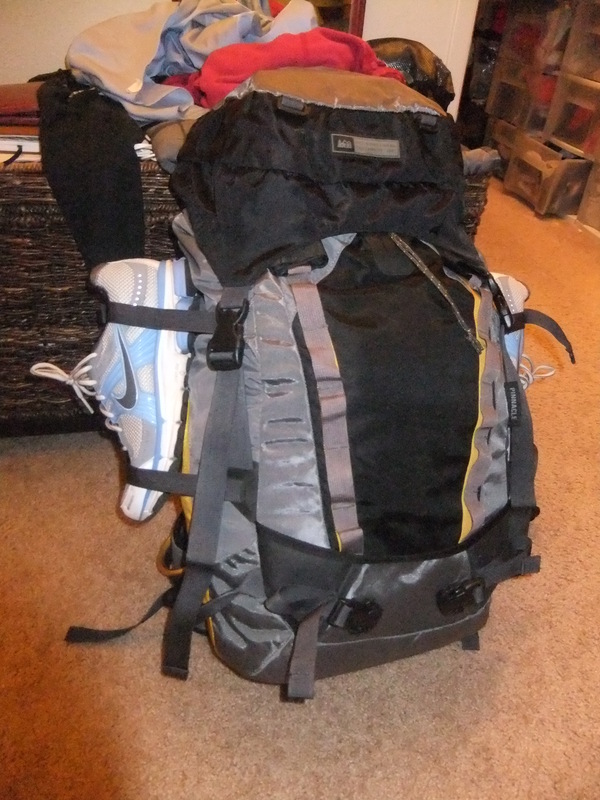 Amy’s portion fit in Mike’s 40L backpacking pack with room to spare. Is this really a year’s worth of gear? We still have a lot of gear we still need to get. But after this successful packing test, we were so excited that we impulsively purchased a new Gregory Jade 38 (in Beta Red, actually 39L) for Amy. Stoked! 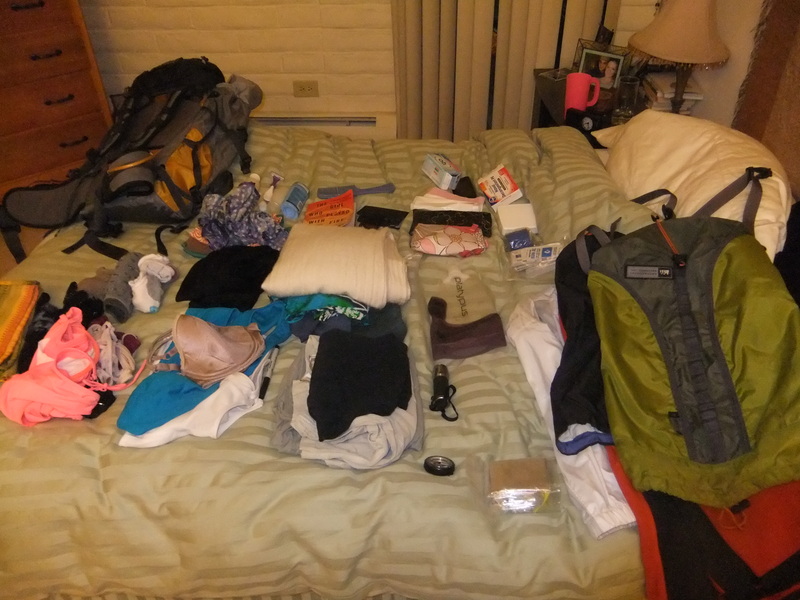 Like we said before, it’s hard to know exactly what you need to do to prepare for a trip around the world. Have you ever considered what you would do if you ran out of pages for stamps in your passport? Mike had that very thought. So, today we mailed in our applications to get an additional 48-page added (see Form DS-4085). Continue researching awesome destinations, visas, etc. And of course, keep shopping for new gear! I love this blog, well worth the wait. What a sweet backpack Amy!